Quasar has chosen to partner with Systems With Intelligence to provide our clients with intelligent video monitoring solutions for real time visualization of industrial applications in harsh, remote locations. Systems with Intelligence products are designed to protect and prolong the life of high value assets and increase the safety, security, reliability and uptime of operations by providing the visual and numerical data needed to make informed decisions. Coupling advanced thermal monitoring and visual imaging technology with sophisticated analytic algorithms, Systems With Intelligence provides solutions for physical security, asset monitoring, video automation and safety. Support for industry standard protocols allows for integration with any SCADA system. Solutions tailored for the harsh conditions of utility and heavy industrial environments. Video surveillance systems usually require a significant amount of storage space. Systems With Intelligence’s video storage solution uses a combination of local storage and network attached storage. 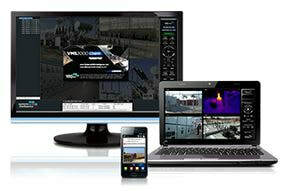 Web based and mobile video management applications for remote access, plus alerts can also be sent to handheld devices. Sophisticated, easy to use, video analytics allow the user to pro-actively identify security incidents automatically and with minimal personnel. The advanced algorithms have been tuned specifically for outdoor and substation environments to reduce false alarms. ​Quasar also have produced a Mobile Video Surveillance unit. This rugged mobile unit is designed to be portable, yet rugged so it can sit in a harsh environment such as a remote substation or an outdoor switch yard. The unit is designed to capture video at your site, and when necessary you can access the live or historical video that has been recorded on the Digital Video Server (DVS). We'd love to learn more about your business and your intelligent video security needs.